This post was supposed to be posted yesterday...but then I realized the pictures weren't downloaded onto the computer yet...so you get it today. Here is what I did yesterday! 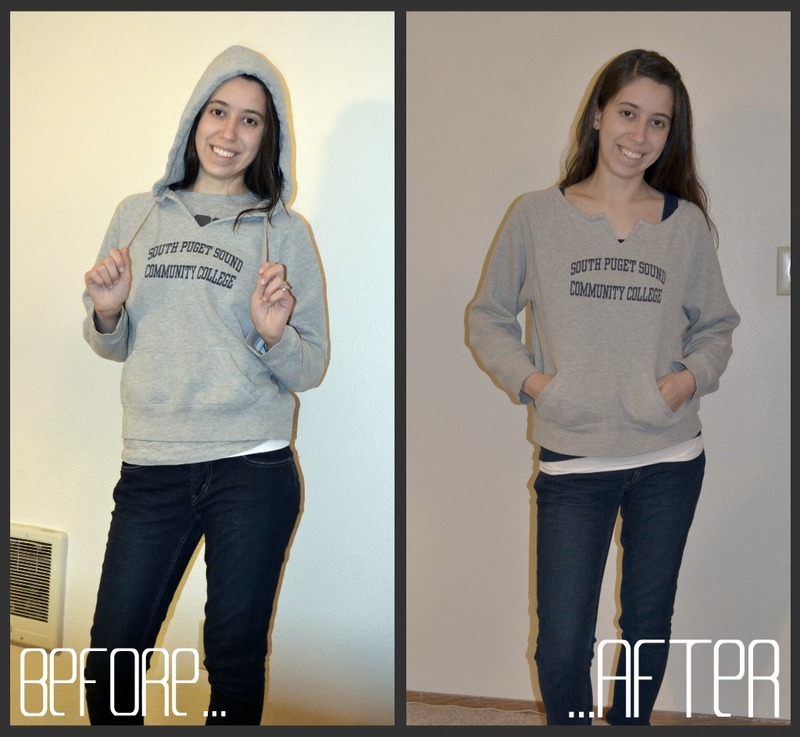 I took the hood off of an old sweatshirt (I never wore it cause the hood pulled it back so it kinda choked me.) 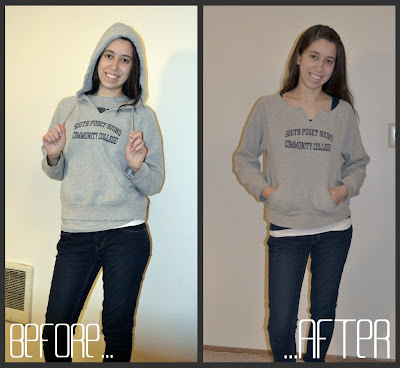 This slouchy look is kinda in right now and I wanted something comfy to wear around the house. 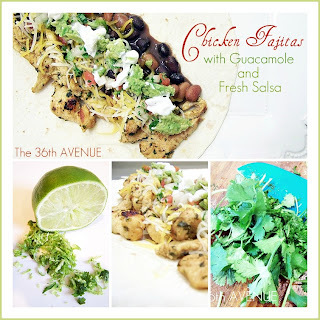 And I made an AWESOME fajita recipe from The 36th AVENUE! It was so good! We added refried beans, cheese, and salsa...I wished we had spinach, but we were out. =( My picture is kinda boring, but here is the awesome graphic from The 36th AVENUE. Head over and check it out! You should try it...they are every bit as amazing as they look! I even shared it with my mom today. She is super excited to try it.